Coping with loss can be difficult. There is a natural process we undertake while grieving, but sometimes those feelings can become overwhelming, and can eventually take over your other senses needed to function in everyday life. Understanding and analyzing your symptoms and thoughts can lead to the correct strategies on the path to healing. Like most things, with healing there is work to be done. It’s important to remain patient and cut yourself some slack. Just like each person can show grief in different ways, each person copes with grief in different ways, and each way warrants its own timetable. Your intense feelings of grief continue almost all the time. Grief can have mutable symptoms or seasons of intensity followed by seasons of relief. Your isolation isn’t exclusive. Depression can lead to neglect even in the most significant relationships in your life, whereas people who are grieving still may accept support from loved ones. You’re lacking a positive self-image, have feelings of worthlessness or self-hatred. You’re frequently self-medicating with drugs and alcohol. You start hearing voices, believe in false things, or if your eyes start playing tricks on you. A small percentage of bereaved people experience hallucinations that are comforting, for instance a sense of their loved one’s presence, or even scent. This is not inherently pathological, but if you are experiencing hallucinations that are causing distress, it could be a sign of depression. Invest in a hobby. Sometimes a distraction, even if it’s brief, can help your mental state. Take a cooking class, pick up some books of your favorite author’s from the library, or start a blog. Finding ways to express yourself can be vital to the healing process. And if you’re an older adult, use the time to connect with a grandchild by sharing something you love. Spending time with someone in a younger generation can be refreshing and rejuvenating. Whether you love gardening or classic cars, the time the two of you spend connecting will be cathartic. Get adequate sleep. At least 7-8 hours is ideal. Lean on a friend. It is tempting, and easy, to isolate yourself when you are struggling, but reaching out to call a friend or participating in your social circles will satisfy that need to belong. It will also give you purpose and will make you feel appreciated. Join a support group. Being able to share a similar experience of loss while offering a different perspective can be extremely beneficial. 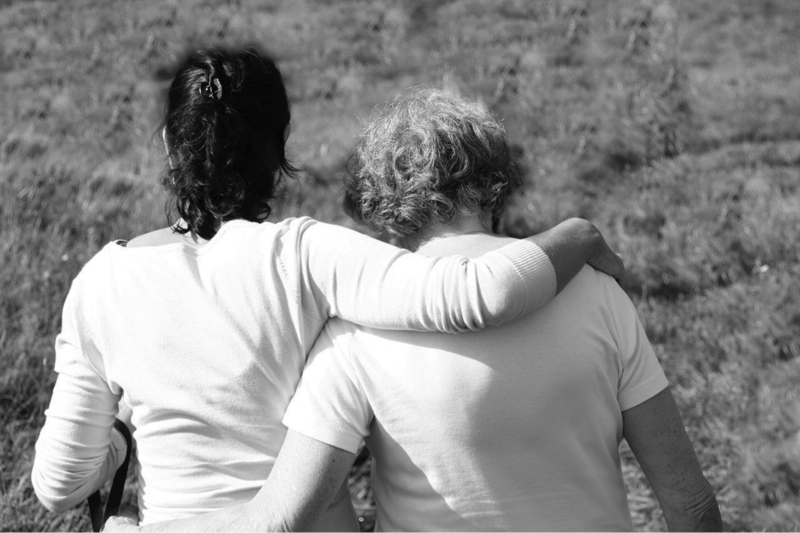 Sharing your grief with your loved ones can help, but sometimes leaning on people that are more objective of your situation can help you maintain rational thoughts and behavior. Reach out to a grief professional or mental health practitioner. David Garcia runs SpiritFinder together with his best friend, Jennifer. After dealing with shame and guilt issues of his own, they created this site as a platform for advocacy on opening up on mental health. His aim is to provide information for people with mental illness.